Home / Undergraduate / What is Economics? It’s that time of year again: selecting courses for next semester! And whether you have already decided to major in economics, are taking a few courses to see if you enjoy it, are considering an economics course, or simply don’t know what economics is all about, there are a few things that we’d like you to know. You are walking toward Franklin St. and you see a long line of students outside Ben and Jerry’s, and that line extends out the door, around the corner, down past Bun’s, and is beginning to wrap around the other corner. 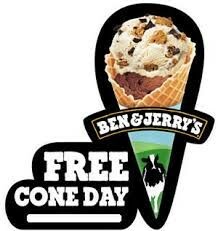 You suddenly remember that it is Free Cone Day at Ben and Jerry’s! Consider how different individuals might describe that scene: an individual who has taken some economics, an individual who loves art, an individual studying chemistry, a nutrition expert, a psychology major. The economics major might think about opportunity cost and the marginal utility of ice cream (and leisure). Given the price of a cone, the value of time (especially given our minimum wage of $7.25), and the length of that line, the economics major may initially conclude that waiting in line for the free cone is a bit sub optimal. Yet, drawing on this economics knowledge, the economics major reasons that these observed behaviors must be maximizing each individual’s optimization problem, or these individuals wouldn’t be standing there. So, the fun part of being an economist is figuring out why individuals (or firms or governments) do what they do. How is their optimization problem different? What do they value? What are their constraints? What are their expectations? How do incentives impact behavior? And if you want to go on to a Ph.D. program in economics, ask a faculty member in the department what other courses you should be taking! 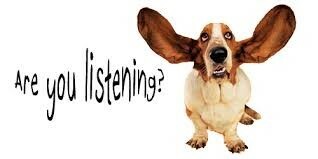 We want to let you know that we are listening. We are listening to graduates of our undergraduate and graduate programs here at UNC. We are listening to the job market, which shows us where our students are getting jobs. And we are listening to you, who share your experiences in Economics courses with us. 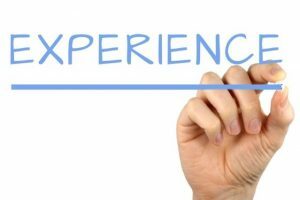 A common theme has been the expressed value of empirical experience and analytical thinking skills. Q: How can you develop these skills? A: econometrics and research. 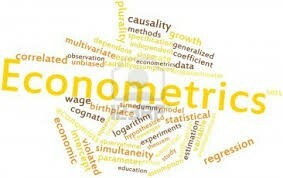 Our first goal is to provide more econometrics. Yes, econometrics. Let’s dispel the notion, right now, that econometrics is too hard, I’ll never learn it, and there goes my GPA. 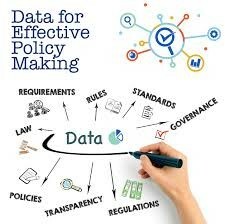 Being able to collect and analyze data, to interpret data, to use data effectively are skills that are valued on the job market. To encourage you to learn these skills early during your economics training, and to have time to apply these skills in your elective economics courses, we have taken the subject matter from ECON 570 and put it in ECON 470, minus the 15-page paper. There is a trade off here: after all, this is economics. By not having the paper, an instructor can cover the content of the course in more depth and perhaps introduce you to more econometric tools. The downside of not having a paper is that you don’t get to apply the tools to an idea/question of interest as you are learning them. However, you will still get your hands as dirty (with data)… we promise! And our second goal is to provide more experiences. We want more of our undergraduate majors to have experience working with data, synthesizing knowledge over many courses, and using analytical skills to draw conclusions. And that is where the 500-level courses play a critical role. We are encouraging our faculty to structure the required 15-page paper in the capstone courses like that of the research experience students received in 570. In other words, an economics major can now learn the econometric skills in 470 and experience empirical research in a variety of 500-level courses. At least initially, most of our 500-level courses will not require 470; others (ECON 551, 571, 575) will have 470 as a pre-requisite. Eventually we hope that econometrics will be taken earlier so that upper level course instructors can expose students to economic concepts using more empirical content. And we’ve got to work together. You, as students, have to seek those skills early and make an effort to develop them. We, as faculty, need to incorporate regression analyses into our lecture material, to have you read empirical journal articles, and to require you to use some econometrics. We are still offering ECON 570 (the econometrics tools and the 15-page paper). The ECON 470/any ECON 500-level class combination simply provides you with a wider set of topics in which to apply the econometrics tools. Note, however, you cannot get credit for both ECON 470 and 570. Please understand that change takes time. We won’t make an abrupt change to your planned pathway through the major and we can’t implement all the changes we want immediately. Please ask questions if you don’t understand your options or don’t know the best route for your interests and abilities. You can contact Geetha Vaidyanathan, Director of Undergraduate Studies or Stephen Lich-Tyler, Undergraduate Advisor in Economics.